November, 2010 was my first AES. From the perspective of the exhibition hall, it’s a lot like the NAMM show, minus the circus. But despite the lack of Gene Simmons impersonators, marching bands, and Bootsy Collins, I enjoyed the show, especially for the presence of boutique manufacturers that for the most part don’t come out for NAMM. I’m a micaholic, so my view of the pro audio industry tends not to go any farther down the signal chain than the first XLR jack. Fortunately there is still plenty of gear news to report. My first stop was at the Sanken booth. My pal Martin had opened up the CU-41 to show the mic’s unique dual-capsule design, which uses a small-diaphragm capsule for high frequency information and a medium-diaphragm capsule for everything else. It’s not a new mic, but it’s one I’ve been curious about since Paul Northfield mentioned that he used to carry one with him to vocal sessions. Next I saw Michael Chiriac of Cascade Microphones, who was showing off “ Little Henry,” a new large-diaphragm tube mic. It’s an evolution of the company’s V55 tube mic, and it packs a lot of interesting ideas into its sub-$1000 price point — including a transformer from our friends at AMI. We are eagerly pursuing more details on this mic, because it provides yet more evidence that everyone who starts out by importing stock, “catalog” mics ends up going upscale with custom designs. This is a trend that lets everybody win. While I was checking out the new microphone, Michael Chiriac of Cascade snuck around behind me and slipped a Cascade Inspector cable tester into my bag. It’s a slick little box that tests for faults in every conductor of whatever cable is plugged into it. It has i/o for Speakon connectors, XLR, RCA, 5-pin DIN, TRS. It also has a pair of leads that allows for testing continuity of any external cable or circuit. It’s built like a tank, and is a much-appreciated gift (thank you, Michael!). Check out the updated version, the Inspector II, sold by Cascade here. Down the corridor from Cascade was the crew from Telefunken Elektroakustik, who had mounted most of their product line on a single mic stand. That’s a whole lot of awesome in one place. Their newest mic is their most visually distinctive, the R-F-T CU-29. The “Copperhead,” as it’s called, is a gorgeous tube-and-transformer mic with a curious single-sided capsule. T-Funk was also demoing the AR-70, a new stereo tube mic. Both these new models testify to the company’s drive to constantly reinvent itself. The R-F-T line in particular has been evolving faster than I can track, and the results are spectacular. Next up was the Mojave Audio MA-300, a multipattern version of the company’s popular MA-200 tube condenser. David Royer gave me the full story on the mic: it retains the capsule, circuit design, tube, and sonic signature of the MA-200, but adds a continuously-variable polar pattern switch to the power supply, as well as a pad and high-pass filter to the mic. For fans of the MA-200 — and there are many — having access to an infinite variety of super- and sub-cardioid pickup patterns is a huge benefit. Then I got a close look at sE’s new ribbon mics, the VR1 and VR2, which use an ingenious pair of mechanical diffusers to restore the high-frequency response that is attenuated in most ribbon microphones. Both are surprisingly heavy, robust microphones. I didn’t get to hear them at the show, but these are on my short list to check out in the new year. Wait, “short” list? Who am I kidding? sE was also displaying their X1, aka “sEX1,” a sub-$200 condenser that is trying to raise the quality bar for low-cost microphones. With a built-in pad and filter, high sensitivity, low noise, and “pre-modded” touches like a sloped, single-layer grille, this mic is a serious contender for an all-purpose studio workhorse. The mic’s frequency response is nominally flat, with a mild presence peak at the high end. To be fair, sE’s published graphs are more heavily smoothed than some of the competition’s, but I’d expect a lot of performance from the X1. And then there’s the sERN 17, the second result of the collaboration between Siwei Zou and Rupert Neve. The mic is a high-end pencil condenser with a suite of five available 17mm capsules. And while you’ve seen pencil mics that bulge out to accommodate high-quality output transformers (hello, Mojave MA-101 FET), you’ve never seen a bulge like this. The monster Neve transformer in this mic is very much like the one found in the first sE/RN mic, the RNR1 Ribbon. I’m especially excited about the Figure-8 capsule for the sERN17, simply because that design has been under-represented in the small-diaphragm end of the market for too long. Chameleon Labs was showing off one of the most exciting tube SDCs on the market, the TS-1 Mk II. It retains the plate-loaded 5840-tube-based amplifier circuit of Terry Setter’s original TS-1 design, and borrows the variable tube voltage (aka “heater control”) feature of the discontinued TS-2. Chameleon Labs was also showing off the new TS1-L large-diaphragm multipattern capsule for the TS-1, TS-1 Mk II. It houses the 35mm capsule from the TS-2, and provides a Cardioid/Omni switch. I love the idea of putting large-diaphragm capsules on pencil mics — what ADK and I call hybrid mics. 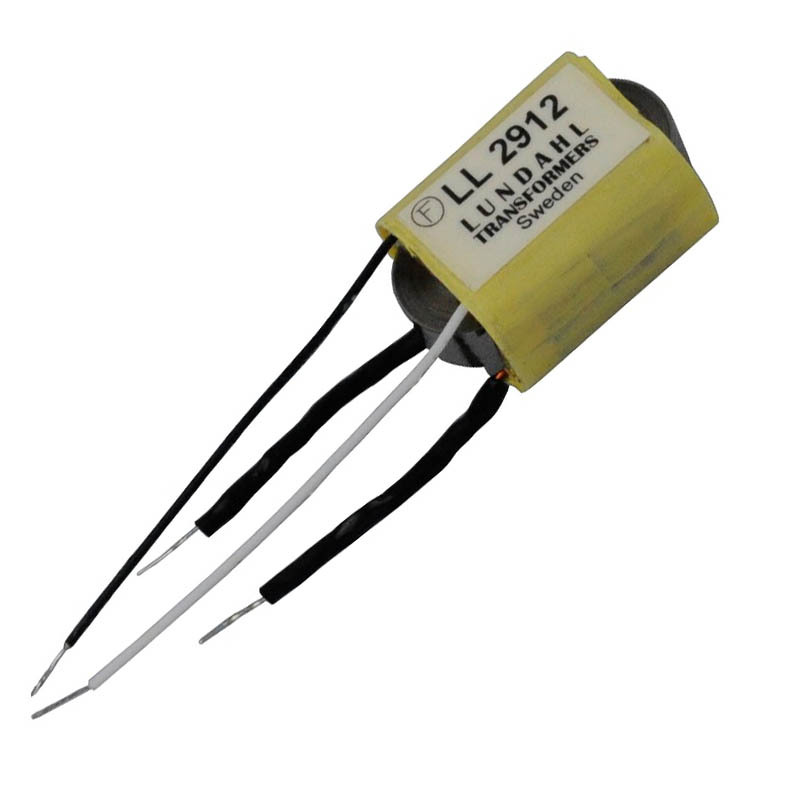 I am hoping to help put together a full list of compatible 20mm-diameter head amps for the TS1-L capsule soon. Despite the fact that writing this show review has taken me nearly as much time as I spent at AES, there were yet more mics to see! MXL has a new entry into the suddenly-crowded handheld-condenser market, the LSC-1B. I don’t do much (any) live sound, so for me the most interesting news here was the release of a Hypercardioid capsule that is compatible with the LDC mics as well as the 603S and 604 bodies. The lack of a hyper capsule for those mics has been a hole in the product line for years. 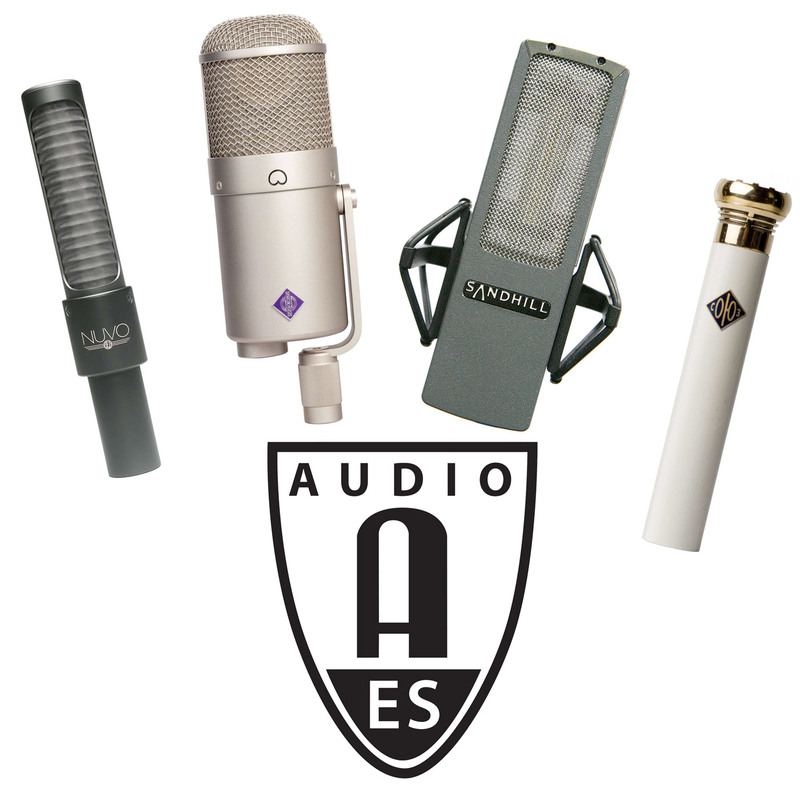 Finally, AEA made a splash with their new cardioid ribbon mic, the KU4. Because ribbon transducers naturally produce a bidirectional or figure-of-8 polar pattern, creating a Cardioid ribbon mic is a nontrivial engineering task. The KU4, like the RCA KU-3A before it, incorporates an acoustic labyrinth that delays audio signals from behind the mic from reaching the ribbon directly. This is a premium mic with a small target audience and a commensurately high price tag — about $4200 as of this writing. As much as I love the gear, the highlight was seeing all the fellow mic fanatics I trade emails with throughout the year, because each one of these guys has helped me with this website in some regard. I’m happy to say I got to spend time at AES with Brad Avenson of Avenson Audio, Jon Ulrigg of Shinybox, Matt Nuttycombe and Alan Veniskofsky of Telefunken Elektroakustik, Michael Chiriac of Cascade Microphones, David Bock of Bock Audio, David Royer of Royer Labs and Mojave Audio, David Josephson and Kelly Kay of Josephson Engineering (I had a fascinating conversation with David about microphone self-noise), Jim Mona of MXL, Michael Militzer of Microtech Gefell, Tim Stiles of Chameleon Labs, Terry Manning of Lucas Engineering, Oliver Archut of AMI/Tab-Funkenwerk, Jeff Roberts of Latch Lake, Ben Sneesby of BeesNeez, Tim Spencer of True Systems, Roger Cloud and Fen Ikner of Cloud Microphones, Daniel Blackmer of Earthworks Audio, Wes Dooley of AEA, Chad Wiggins and John Born of Shure, and of course the AESSFPosse, especially the “going all night” crew: Slau, Jesse, Randy and Ryan! Click the micro-pictures at right to see full-sized images via Flickr. Did I miss any news? Almost certainly so. E.g., constant chatter about PT9. But if I recall correctly, PT9 doesn’t have an XLR jack or a capsule. Seriously, I didn’t even go to the Avid booth. Selective perception = occupational hazard. Anyway, drop a comment to help me fill in the gaps!